Though the city of Flint has only recently come into the media spotlight, Flint residents have been struggling for nearly two years now with the water crisis that propelled the city into the limelight. As some legal commentators have noted, however, the principle of sovereign immunity will make it difficult for Flint residents to get any relief. In other words, while the government may be at fault, Flint residents aren’t likely to get justice through our court system. So, what are we to do when the very institutions that are meant to protect us from the issues we are now confronting are the ones responsible for the mess? What are we to do when our agencies, that is, our government, fails us? In June of 2013, the Flint city council voted to switch the city’s water source from Lake Huron to the Flint River as a cost-saving measure. After the state’s environmental regulators approved the plan, the city adopted the new water source in April of 2014. Though officials new that Flint River water is highly corrosive, they failed to implement appropriate treatment measures. The Flint River water thus quickly rusted the city’s lead pipes, causing water contamination. Flint residents began complaining about the look, smell, and taste of the water almost immediately. City officials continuously dismissed these complaints, maintaining that multiple tests had shown the water was safe to drink. Beginning in 2015, the University of Michigan – Flint campus found high levels of lead in some water samples and decided to shut down certain water fountains. Other city tests in residents’ homes also revealed levels of lead vastly exceeding the EPA’s limit for lead in drinking water, but the problem was dismissed and rationalized as unique to a subset of homes. Despite this, Flint officials continued to deny the problem. In fact, Governor Snyder and other officials did not (publicly) recognize the gravity of the situation until late 2015. In October of 2015, DEQ finally admitted the city had a lead problem, urging residents not to drink the water. DEQ led the effort to reconnect Flint with the Detroit Water and Sewage Department. Unfortunately for Flint residents, the damage to the city’s infrastructure was irreversible. In December of 2015, the city of Flint finally declared a state of emergency. Gov. Snyder followed in 2016, declaring a state of emergency for the entire Genesee County and requesting federal aid. Experts say that as much as 90% of the problem could have been avoided if the water had been properly treated. Though it seems that several missteps along the way combined to worsen the situation over time, finger-pointing and a lack of institutional transparency has only complicated our ability to clarify where liability falls. So far, it has been revealed that the representations DEQ made in e-mails to the EPA concerning corrosion treatment were false; DEQ was not treating its water for corrosion at all and was actually using the wrong standards to monitor copper and lead levels in drinking water. The state agency also tampered with the sample-collection process and even invalidated some samples high in lead, to allow the city to stay within federal standards. Basing their conclusions on this data, city officials like the mayor continued assuring people that city water was safe to drink, leaving Flint residents, relying on the integrity of the city’s word, to drink poison for nearly two years. Amidst calls for further resignations, at this point in the game, litigation seem like the best response or at least the best avenue to begin addressing the issue of relief for victims of lead poisoning and Legionnaires disease, a severe form of pneumonia. Still, this backward-looking response leaves many of us wanting more. While attempting to repair the damage through monetary compensation is a great start, no amount of money could ever make these victims whole again. It’s not just that the effects of lead exposure can never be corrected; it is also that this community has lost trust in institutions meant to protect them against this very situation. Whenever we believe our agencies are failing to apply the right standards, we can use legal tools to change them. Imagining a different universe where we use the legal tools available to remedy this situation, however, doesn’t give us much satisfaction. Leaving the issue of sovereign immunity aside, let’s imagine a situation where we enter into litigation as soon as we sense something is afoul. For purposes of the exercise, we’ll say a fictional Flint resident sought legal counsel about a month after the switch, which is around the time the complaints started in the real world. Not only do we have to think about the high cost of litigation in a city where the median income is $24,000, but we also have to worry about the time it will take to resolve the issue in court. To overcome the former issue, we’ll say our fictional hero has access to the adequate resources to retain counsel. How long will it take for us to have our day in court? How many days will we go on drinking poison and causing irreparable harm to the health and safety of our community? Getting an injunction seems like the most prudent course of action in this emergency situation. Indeed, it would be the quickest solution to our problem. Would our case meet the standard for preliminary relief? What would happen if we lose and have to litigate the issue for years? Would we end up in the current situation regardless? Of course, this entire fiction requires an immediate lack of trust in official reports, expert knowledge and sufficient resources to challenge an institution purporting to have better knowledge of the monitoring process. This threshold is a high one, and so, it is no wonder the first suit was not filed until November last year. If ex post litigation is not the answer, then, we have to look elsewhere to find a quick solution: better ex ante management. In our case, self-policing and policing from federal agencies didn’t work, as agencies failed to alert us about the gravity of the situation until it was too late. DEQ and the EPA had all of the facts on the table, but they either failed to see the issue or deliberately hid the problem. Our response, in other words, was inadequate. These failures in the least serve as a lesson about our environmental management and agency administration. We should assess these governance failures and implement procedures to catch these kinds of mistakes, particularly in situations where an entire community has raised concerns about a potential health issue. Because none of the current solutions seem adequate, we must imagine a future that empowers us with the tools to stop people from drinking poison for so long. Otherwise we are left almost laughing at the fact we live next to the largest group of freshwater lakes on earth. Mack, Julie, EPA regional head resigns amidst criticism of Flint water crisis, MLIVE (Jan. 21, 2016), http://www.mlive.com/news/index.ssf/2016/01/epa_regional_head_resigns_amid.html#incart_story_package. Lawler, Emily, DEQ spokesman also resigns over Flint water crisis, says city ‘didn’t feel like we cared,’ MLIVE (Dec. 30, 2015), http://www.mlive.com/lansing-news/index.ssf/2015/12/deq_spokesman_also_resigns_ove.html. Bosman, Julie, Monica Davey, & Mitch Smith, As Water Problems Grew, Officials Belittled Complaints From Flint, N.Y. TIMES (Jan. 20, 2015), http://www.nytimes.com/2016/01/21/us/flint-michigan-lead-water-crisis.html?_r=0. Ford, Dana, Elliot McLaughlin, & Emily Smith, Flint water crisis: Michigan governor asks for $28 million, CNN (Jan. 19, 2016), http://www.cnn.com/2016/01/19/health/flint-water-crisis/. Philips, Amber, Why it will be difficult for Flint residents to sue Michigan for money, THE WASHINGTON POST, (Jan. 26, 2016), https://www.washingtonpost.com/news/the-fix/wp/2016/01/26/why-it-will-be-very-difficult-for-flint-residents-to-sue-the-state-of-michigan-for-money/. Brush, Mark, Rebecca Williams, Lindsey Smith, & Lindsey Scullen, TIMELINE: Here’s how the Flint water crisis unfolded, MICHIGAN RADIO (Dec. 21, 2015), http://michiganradio.org/post/timeline-heres-how-flint-water-crisis-unfolded#stream/0. 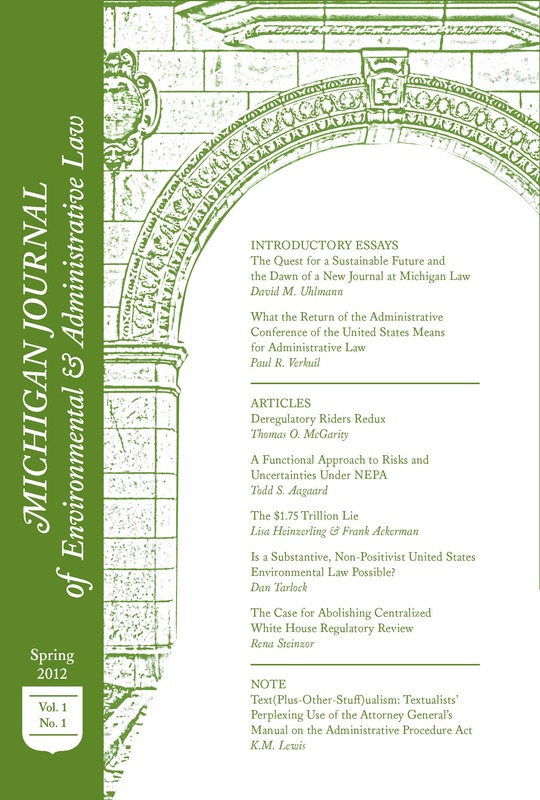 Sturgeon, Madeline, True grit: Pediatrician proves Michigan community’s water was poisoning children, AAP NEWS, http://www.aappublications.org/news/aapnewsmag/2015/11/11/Water111115.full.pdf (last visited Jan. 21, 2016).